Since end 2016 we have been informing you about our PCBA Visualizer tool. The final extension of these tools is of course the efficient and smooth production of assembled prototypes. To test this flow we have just now launched it in the UK market which will be our pilot market. Meanwhile we are building our EMS partner network. Since the WoTS exhibition in 2016 we have been talking to many of our EMS customers regarding our plans to set up a smooth and reliable flow for PCBA manufacturing using our online Visualizer tools and platform to handle all BOM and data issues before the effective production starts. To be transparent about what our customer can expect from us, we have put all actions on a time line and explained them all in this BLOG. In case you are interested as a designer customer or as an EMS customer in this PCBA concept, then take a look here. 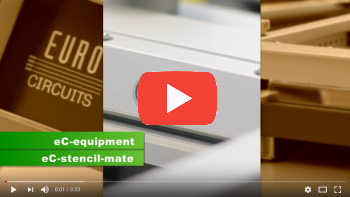 PCBA services using Eurocircuits online Visualizer tools and the manufacturing services of our EMS partner network to fulfil as many PCBA prototype and small series orders as possible “right first time”, on time and on budget is our goal. Should you have any questions about any of our services, please feel free to contact our sales office via email, telephone or instantly with our online chat during office hours. We will be more than happy to help. This years’ D&E event runs in Flanders and The Netherlands for our visitors’ convenience. October 11, in Technopolis in Mechelen, Belgium, the next day, 12th of October in “1931 congress center“, Brabanthallen, Den Bosch, The Netherlands. The entrance is free of charge when you pre-register to the event. Click here! The seminar program stands firm with its valuable content brought by various partners of the event. Eurocircuits will present its philosophy on “from CAD data to PCBA in the eC-cloud” shortly after lunch. We hope to see you in October in Mechelen or Den Bosch or both. Since launching the Eurocircuits’ PCB prototype services and PCB Visualizer tool customers immediately saw the benefit to their prototype and small series PCB requirements, providing a 24hr ordering possibility, fast and high quality, immediate offer and instant design diagnostic and correction. This has reduced dramatically the Concept → Market time scale and ensured producibility and excellent quality. Since the beginning of the year 2017 we have encouraged you all to utilise and put through its paces our PCBA Visualizer, this is our revolutionary Visualization and correction tool for Assembly data, an early detection tool for PCB Assembly problems. Now we are proud to announce that after a 2 ½ year project we can now offer a one stop shop for your PCBA prototype and small series needs (bare board and assembly). Our Assembly service is a 5 working day service. Purchase and logistics of the components are handled during the lead time of the PCB production. Once the boards are ready and components are delivered the lead time for the population starts. First you upload your PCB dataset as before. 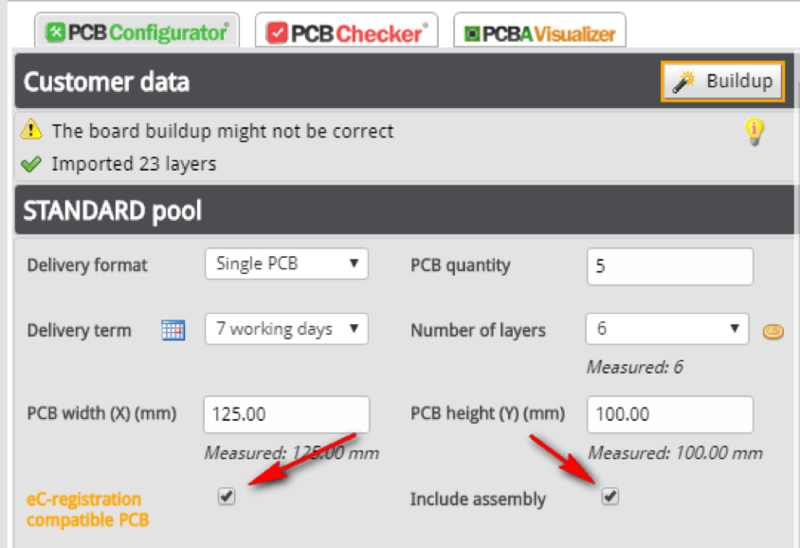 In PCB Visualizer you select the options “Include assembly”. You will need to add the BOM and CPL data so that an online price can be calculated. What can our PCBA service do for you? 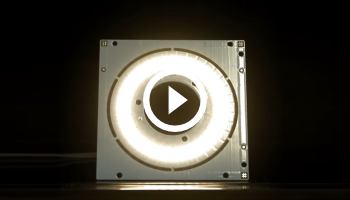 With our Assembly Visualizer we offer a complete DFM check, component sourcing and manufacturing service giving you peace of mind that your prototype or small series can be confidently manufactured to meet your deadline. We would like to invite you to try our PCB visualizer on your data and see how you could benefit. Why not take a few minutes to watch our Assembly Visualizer video? 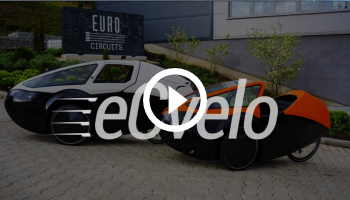 The further details of the flow are explained on our website giving you a clear overview of the steps to follow and the assembly capabilities you might expect. Why not come and meet the team at the Electronics Design show, Coventry, 18th & 19th October stand L46? Eurocircuits – Tips & Tricks – Order status and timeline. One of the many compelling reason to use Eurocircuits is that we only sell what we make. We made the decision over 20 years ago, that for us to provide the highest quality service, then we must have complete control over the entire process. This of course has many benefits allowing us to react very quickly to our customer needs, often changing deadlines not foreseen at the time of placing the order, exact status of the order or simply tracking your order once shipped. However another benefit is complete transparency for you to be able to view the exact status of your order 24/7. Not only this, once your order has been shipped you can find a link directly to your tracking number, all of this from the comfort of your Eurocircuits account page. Project MARCH – students of TU Delft make people walk again. https://www.eurocircuits.com/wp-content/uploads/MARCH-Ruben.jpg 1080 1920 Dirk Stans http://www.eurocircuits.com/wp-content/uploads/2016/07/eurocircuits.png Dirk Stans2017-09-16 21:59:102018-05-14 15:57:10Project MARCH - students of TU Delft make people walk again. This years’ D&E event runs in Flanders and The Netherlands for our visitors’ convenience. The venues will be held in Mechelen and Den Bosch, two cities with a long and important history in the duchy Brabant (1183-1795) and form the center axis of the Dutch speaking territory. October 11, D&E will be held in Technopolis in Mechelen, Belgium, the next day, 12th of October in “1931 congress center“, Brabanthallen, Den Bosch, The Netherlands. History is what Eurocircuits has with D&E event. Since 2003, we are a stable and solid contributor to the event. We believe the seminar program stands firm with its valuable content brought by various partners of the event. You can find the program here. Eurocircuits will present its philosophy on “from CAD data to PCBA in the eC-cloud” shortly after lunch.